Bill the Giant, left, Michael Bricker, center, and Tess Olympia Ramsey with their Sitka Pedicabs, a new business launching this week in Sitka. Have you ever wanted to work outside, get lots of fresh air and exercise, and show off Sitka to local visitors? Sitka Pedicabs, LLC, is for sale after owners Michael and Crystal Bricker moved south last fall. The pedicabs were put up for sale when the Brickers moved, but were placed in storage here in Sitka when nobody bought them. Michael Bricker said he will sell the three Broadway Mainstreet Pedicabs with canopies for $12,000 (each pedicab cost $5,600 new, plus $2,000 shipping). He also is willing to lease the pedicabs for the summer if he can’t find a buyer. When the business was placed on the market last year, the Brickers said they hoped to find a Sitka buyer. 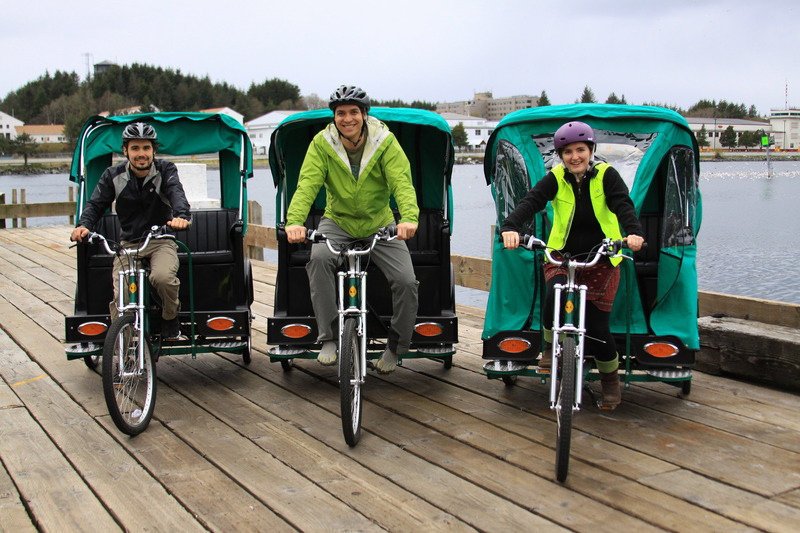 In addition to pedaling tourists and locals around town, the Sitka Pedicabs have been featured in local weddings and other events. For more information, send an email to Michael at bricker.md@gmail.com. 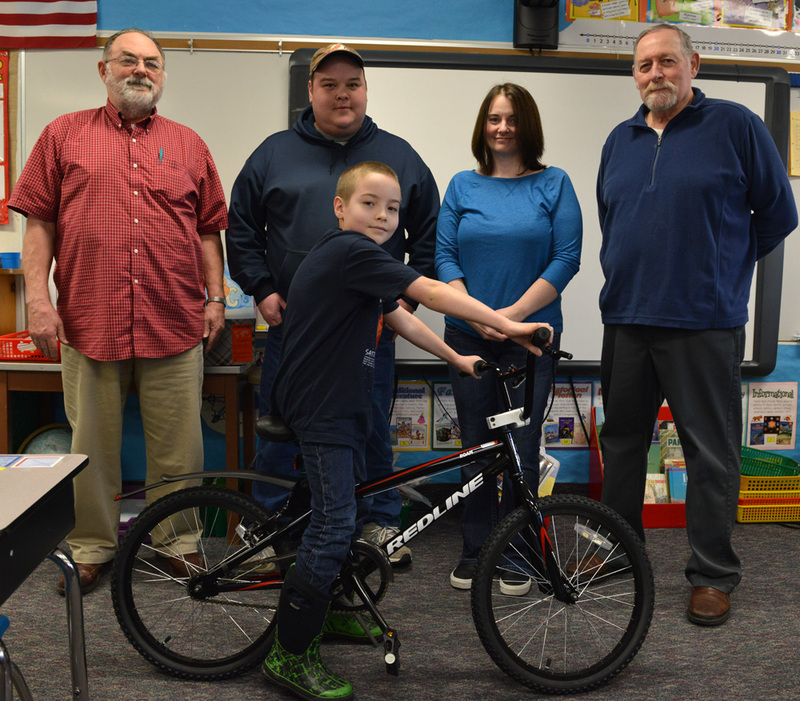 We are in the process of gathering information to put together a National Bike Month calendar of events in Sitka for May. 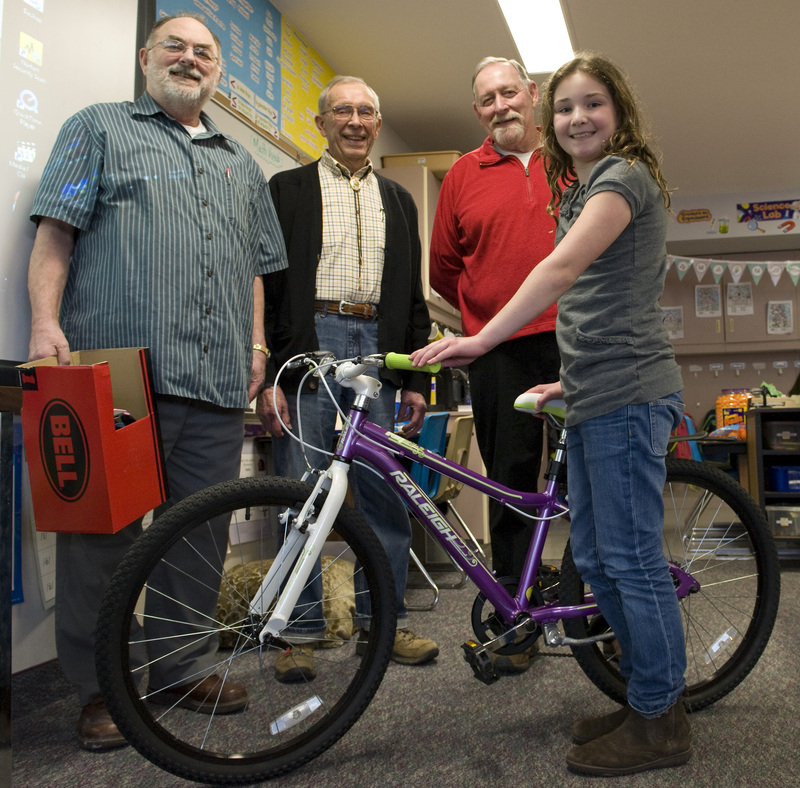 If you are hosting a bike-related event in Sitka — such as the Sitka Bike Rodeo, an informational lunch-and-learn, a community ride, a bike race or triathlon, a National Bike to Work Day breakfast for bike commuters, a bike/outdoors gear swap, a bike shelter dedication, business cycling challenges, etc. — please send the details to Charles Bingham atcharleswbingham3@gmail.com. Please make sure you include the who, what, when, where, and your contact info. 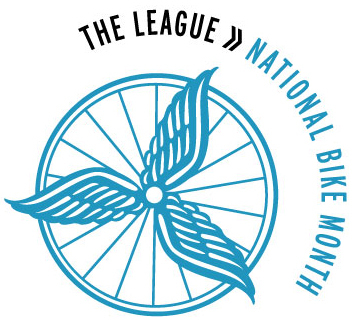 A couple of dates of note for National Bike Month in May include National Bike to School Day on Wednesday, May 6; National Bike to Work Week on May 11-15; and National Bike to Work Day on Friday, May 15. We will be setting up a team or two of Sitka Cyclists for the free National Bike Challenge that runs from May 1 through Sept. 30. Please email Charles with the details and any fliers you may have for your events as JPG or PDF documents (no Publisher files), and we can post them to the Sitka Cycling website. Here is a link to what we posted last year. Walking and bicycling are economical and environmentally responsible ways to simultaneously meet needs for transportation, physical activity, and fun — all in one. 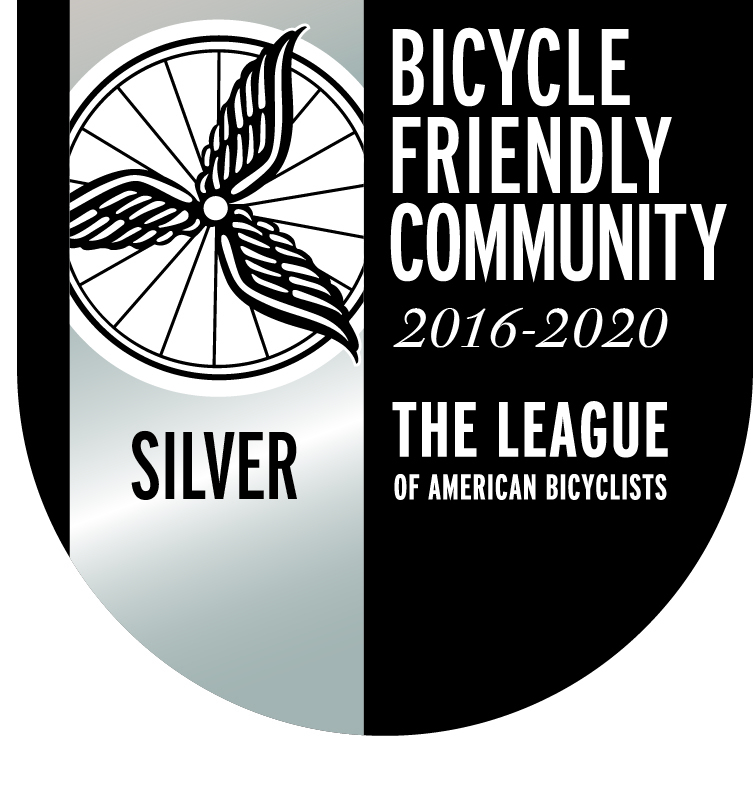 Sitka has been nationally recognized as both a walk and bike friendly town and our rates for both activities are higher than the national average. Living in a rain forest in Alaska means we often have low visibility. It’s important for pedestrians and cyclist to be visible as a courtesy to drivers and more importantly as a way to prevent collisions and injuries. One of the best ways to protect yourself is by wearing a high-visibility jacket that provides total upper body coverage so you can be seen from both a long distance and from all sides. 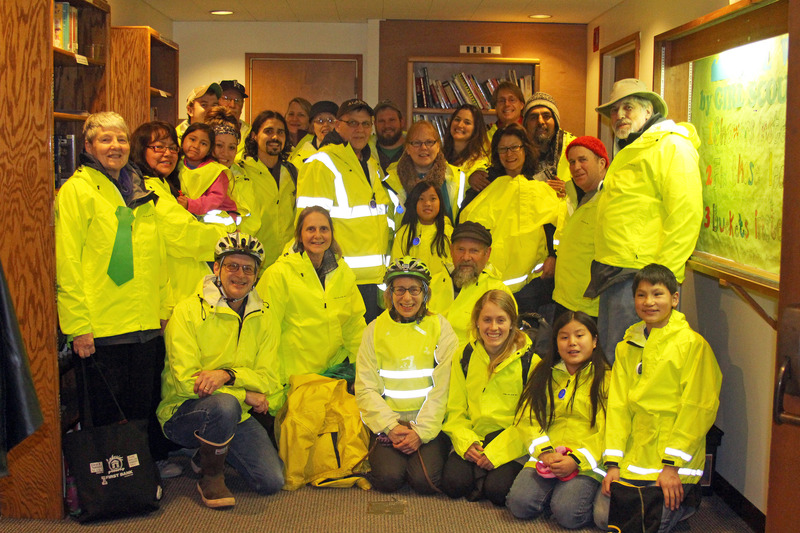 As part of the State of Alaska’s Injury Prevention program, 25 high-visibility GAGE jackets were purchased and distributed through Sitka Community Hospital’s Health Promotion Department. Thank you to the State of Alaska for the funding and to Murray Pacific, who sold the stylish raincoats at a generous discount. Also, thanks to the library staff who supported and hosted our “be safe be seen” educational event and jacket give away on Feb. 25. High-visibility clothing is one item on the safe habits list including: biking on the right side of the road, wearing a helmet, looking left, right and then left again before crossing a street. The goal of this pilot project is to work together to start a trend of wearing bright clothing when biking or walking. Please encourage your family and friends to dress according to the conditions. If you are walking or biking near cars, in low light, please don’t do it in dark clothes. Please consider joining the “High Vis. Evolution” and help our town shine bright! 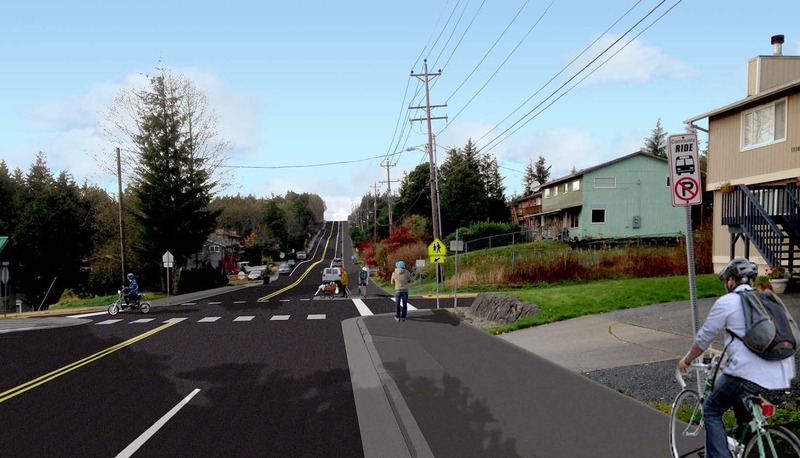 The City and Borough of Sitka Public Works Department and its design-build partners on the Edgecumbe Drive Reconstruction Project have updated the construction drawings and are ready to begin work in the coming days. The project includes a new 10-foot-wide multi-use path on one side of the street for cyclists and pedestrians. The path is intended to provide a safe route for slow-moving bikes and pedestrians to travel. Edgecumbe Drive’s proximity to Keet Gooshi Heen Elementary School was a major driver in the decision to provide this pedestrian amenity. 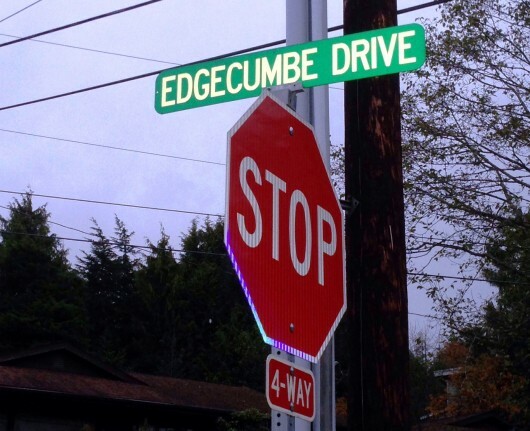 Construction is slated to begin in March with the demolition of curb, gutter and sidewalks in “Phase I” of the project, defined as the stretch of Edgecumbe starting at Cascade Creek Road and ending just beyond Charteris. Phase II of construction extends from Charteris to Peterson, and will begin later in the summer so that it doesn’t interfere with school traffic. The road will be paved and ready for travel prior to school startup in the fall, and the entire project will be substantially complete by the end of September 2015. S&S General Contractors will host meetings at Keet Gooshi Heen Elementary School (307 Kashevaroff Street) on or about the second Thursday of every month through the completion of the project to discuss the project schedule. The first such meeting is scheduled for at 7 p.m. on Thursday, March 12. Click the link below to review construction drawings showing the multi-use path, school zone bulb-outs, the four-way intersection at Kimsham, location of parking lanes and the approximate location of driveways. Project contacts are Dave Longtin (747-1883, davidl@cityofsitka.com) for CBS and Camy Hyde (738-0618) for S&S.